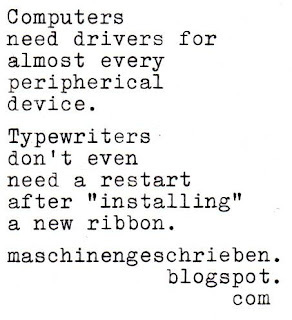 typewriters last a century and are still useable and the ribbons are inexpensive and still available too. 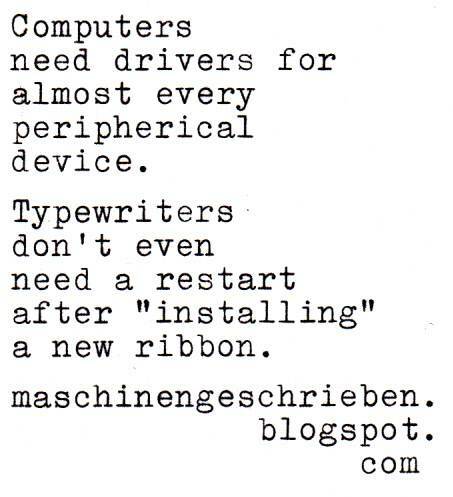 A computer may last 5 years or maybe 10. The list could go on. Thanks for the post. Very neat typeface.